Sham Shui Po has a lively night market that caters to the local Hong Kongers. There's a wide range of products available, however, the electronics section, with it's bright and blinding lights, literally stands out. There are also a few antique dealers and I even saw an old book and painting stall. There items seemed to be much better than what I've seen at the Temple Street night market. I did a loop around Sham Shui Po starting at Wai Kee Noodles, an Open Rice award winning shop right off the B2 MTR exit. After a quick meal I headed to the Dragon Center - a multistory mall / shopping center. The set up and store flow follows the Hong Kong vertical mall concept - there were a few western brands but not many western stores. In that sense it felt similar to shopping at a mid-tier Chinese mall. I crossed the Dragon Center over pass to a market street. Many of the Chinese had just left work and there was a flurry of activity to purchase ingredients for that night's dinner. 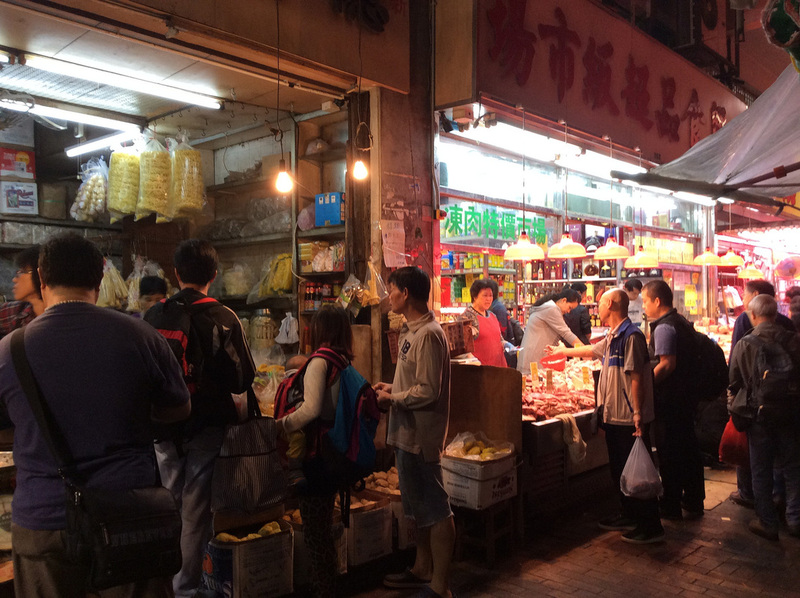 In addition to the standard meat and vegetable shops there were quite a few places selling bulk and smaller quantities of fresh noodles. 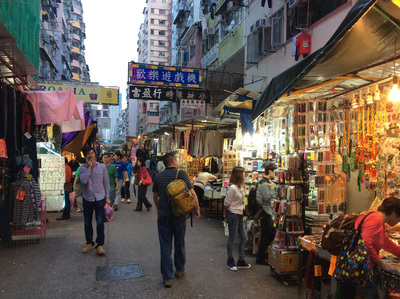 There were also a few of the dried seafood and medicinal herb places scattered among the market. 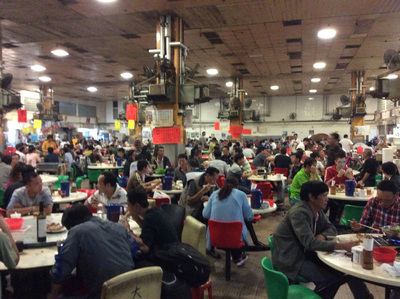 I entered the Pei Ho cooked food center and it was a similar level of food shopper activity on the ground floor of the market as on the streets outside. After circling through the market I headed upstairs to the large and open dining area. I ordered a Tsingtao and sweet and sour pork. The meal was decent but I will still return for the raucous atmosphere. 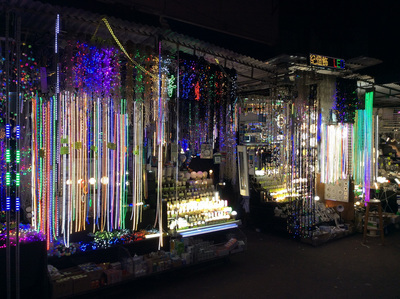 I headed back out and made another short pass through the market where the electronic section was lighting up the night before catching the Metro back to Causeway Bay. For additional Sham Shui Po photos see FLIKR ALBUM.